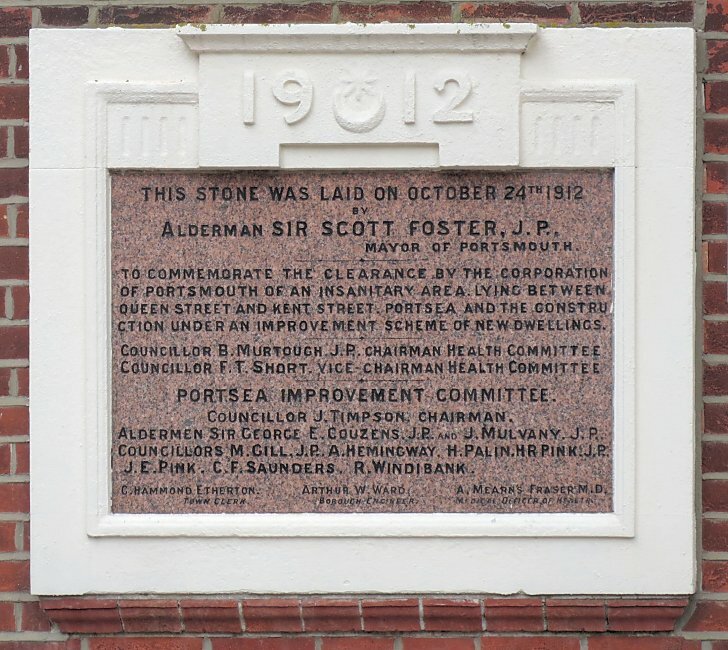 ALDERMAN SIR SCOTT FOSTER, J.P.
ALDERMEN SIR GEORGE E. COUZENS J.P. AND J. MULVANY J.P. COUNCILLORS M. GILL J.P. A. HEMINGWAY H. PALIN H.R.PINK J.P.
Curzon Howe Road was built to replace the notorious White's Row, but the scheme was more than the exchange of like for like. The houses of White's Row would have been tenements hemmed in by Southampton Row to the West and Albion Street to most of the East. The houses on the newly developed road had, unlike their predecessors, gardens at the rear with small forecourts in front. 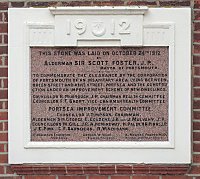 To achieve this the properties on the east side of Southampton Row and the west side of Albion Street must also have been demolished.